Combination tools easily function as tensioners, sealers, and often cutters as well, eliminating the need for multiple tools and providing maximum efficiency of time and cost. Since combination tools do weigh more than individual tools they should be safely placed in a position where they will be used. 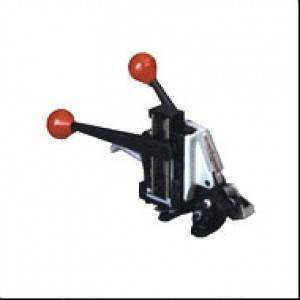 Seal-feed combination tools carry a stack of seals in a magazine for fast and easy loading.